In the last 30 to 40 years, the big trend in handguns has been creating so-called "Wonder Nines", or high-capacity pistols chambered in 9x19mm. Many aren't exactly the most concealable but are very shootable and give the wielder far more firepower than the typical handgun did up until they started appearing. But the hitch is that the classic examples of the breed aren't cheap. Guns like the Beretta 92, CZ-75 and Browning Hi-Power can be had for reasonable amounts, no doubt, but is there a way to get a hi-cap Wonder Nine for a Budweiser budget? As it happens, there is. The Canik TP9 hit American shores a few years ago and has been a runaway hit since the word got out that you could basically get something a lot like a Glock 17 for about $300, give or take a bit. However, thing about the TP9 is that it isn't like a Glock - it's actually closer to a Walther P99, as it's a striker-fired poly pistol (replete with trigger safety) with a decocker on the top of the slide, just like the Walther. After racking the slide and chambering a round, the gun is in single-action mode, but can be decocked into double-action. The trigger pull is a long, hard DA pull in this setting. Some people abhor a double-action trigger, but there are single action-only versions which come with (TP9SA) or without (TP9SF) the decocker. The TP9SA, if decocked, requires the slide be racked to fire, the other lacks the decocker. That said, what most people love is the capacity (18+1) the ergonomics, the accuracy and the sub-$400 price tag. 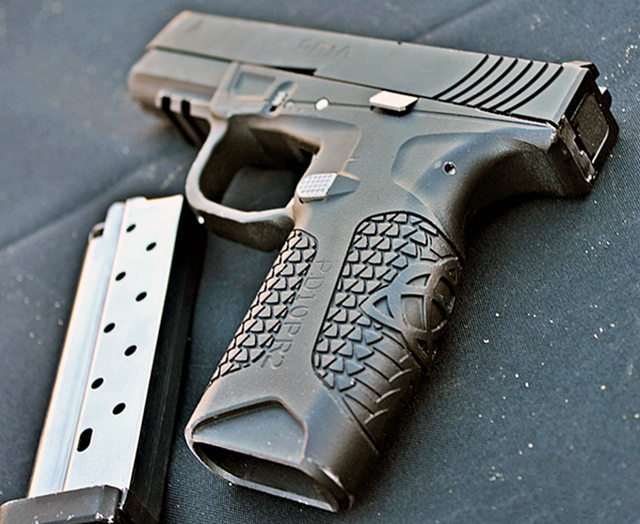 There's even a slightly compact model (the TP9 Elite) that's recently hit the market. 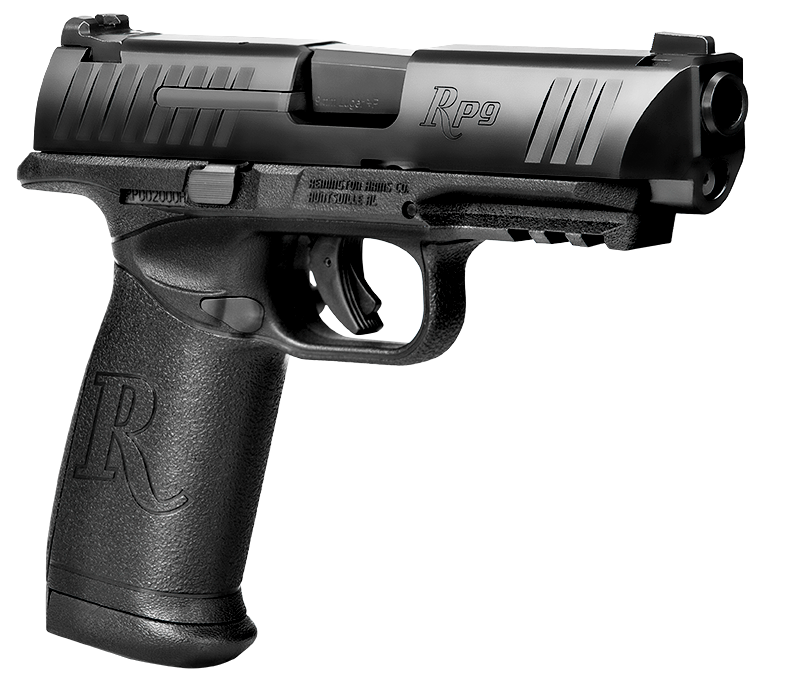 Big Green has been getting into handguns over the past decade or so, and their most recent addition to the lineup is the RP9, a poly striker high-capacity pistol. The RP9 holds 18+1 of 9x19, and a .45 ACP version due out sometime soon as well...though you can get a Remington R1 1911 in the meantime, which is widely considered one of the best moderately-priced GI-spec 1911s you can get. The RP9 has a slightly narrow grip, being designed to fit more shooter's hands than most pistols, and a larger backstrap to avoid slide bite. Exchangable palmswells are included - as is quite common these days - to dial in the fit, along with drift-adjustable sights (they can be swapped for better ones if desired) and an accessory rail. While some reviews have lamented the looks, plenty have praised the ergonomics, the accuracy and the whole package given the price point. Very few stores ask more than $400; many ask closer to $300. For that, you get a big double-stack 9 from one of the biggest and oldest names in the business. While perhaps better known their .380 PPK-derived Thunder .380, Bersa also makes some bigger pistols like the Bersa Thunder Pro. Often found in stores for around $400 or less, the Thunder is - unlike the previous two pistols - a more traditional Wonder Nine, in that it's a DA/SA pistol. However, unlike older Wonder Nines that held fewer rounds than the plastic striker pistols that supplanted them (to a degree) the Bersa holds 17+1 of 9mm (or 13+1 of .40 S&W) and has a decocking safety, allowing the user to engage a safety while decocking the hammer. It can therefore be carried or stored in DA mode with the safety on or off; it's up to the carrier. These guns are issued to police and military in South America like the rest of Bersa's pistols, so they are reliable enough to be depended on. Additionally, many reviews have praised the shooting dynamics as being far better than anticipated for a DA gun at the price point. 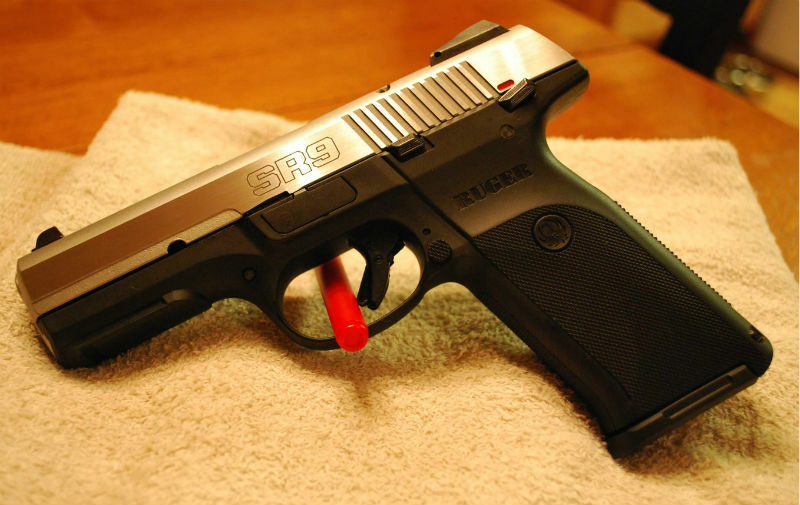 Ruger has always made affordable, quality firearms and the SR series of poly-striker pistols has long been considered a very good budget pistol. They even made a more affordable version, the SR9E, which has all the stuff you need and nothing you don't. In fact, there are only a couple cosmetic differences between the SR9E and the SR9, but that brings MSRP down to $459, but it's very common to find them for less than $400 in stores. 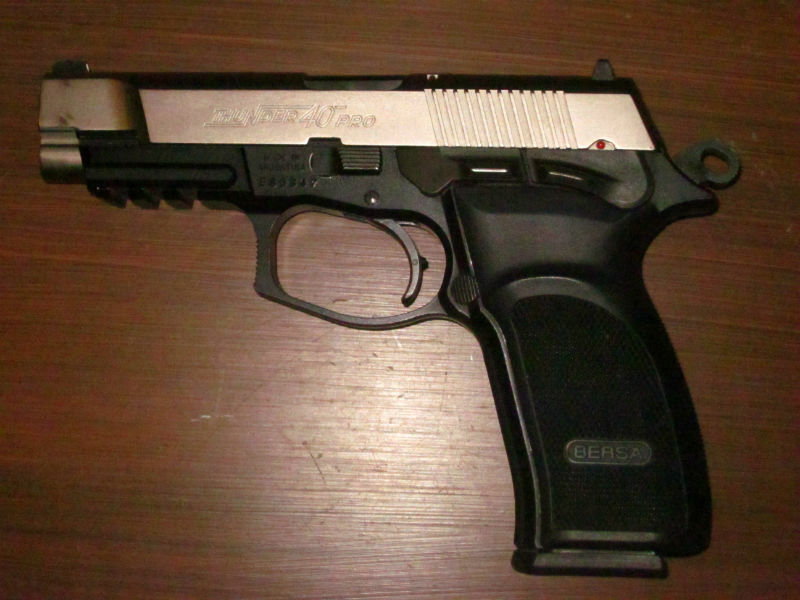 Capacity is 17+1 of 9mm, though it is quite slim for a high-capacity double-stack; if a person concealed a full-size pistol, this would be a good model to look at. 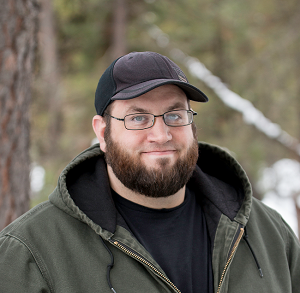 Sights are adjustable and even swappable in case a person wanted to upgrade. There is an ambidextrous manual safety along with the integrated trigger safety, but a lot of people prefer to leave it deactivated. 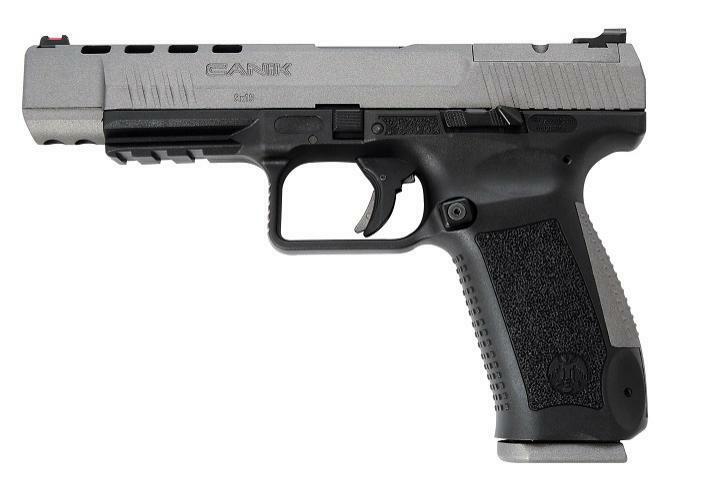 The SR9 has won plaudits for being a solid working pistol, especially at the price point. 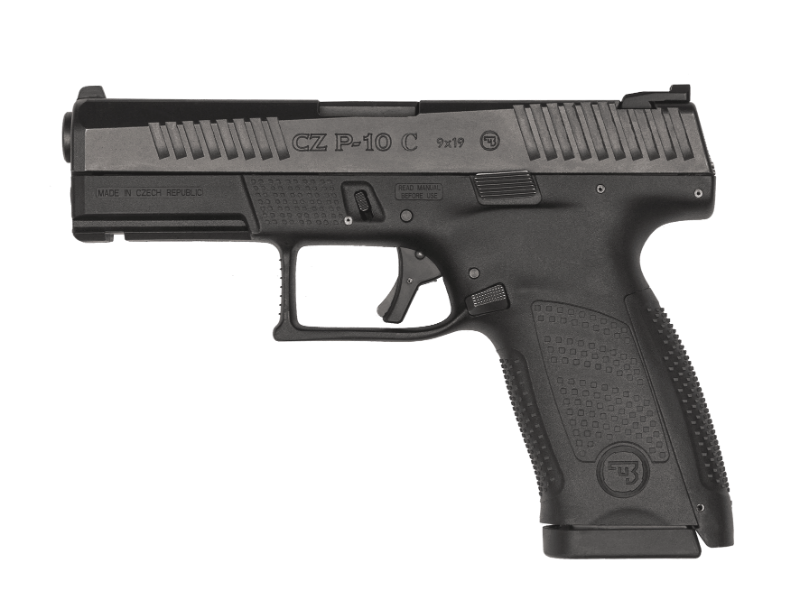 Last but not least is the CZ P10-C, Ceska Zbrodka's new full-size pistol. CZ made one of the original and most iconic Wonder Nines, the CZ-75, but the P10-C is something new for them: a poly striker gun, which they created to submit for the US armed forces pistol trials. It's a bit on the compact side for a full-size pistol, with a 4-inch barrel and only 7.3 inches long overall, but it also has CZ's long-hailed superb ergonomics. It holds 15+1 of 9mm, a couple fewer than the other guns on this list, but this is one of the most easily concealed pistols on this list. It could easily be a CCW gun, as it's roughly the same size as the Glock 19, but it's also perfectly suited to use as a nightstand gun as well. CZ asks $499, but expect to see it for less in stores, which will make it the most affordable CZ on the market.